Dolphin have been approved Stannah Stairlift dealers for more than 25 years. Stannah have been in business since 1867 and have been making stairlifts since the 1970's. They manufacture straight and curved stairlifts and make a real effort to ensure their lifts blend seamlessly with your interior furnishings. New Stannah Stairlift prices start from around £2000 for a straight Stannah stairlift and from just over £4000 for a curved stairlift. The price depends on the length of the track, the style of chair and other customisable options. 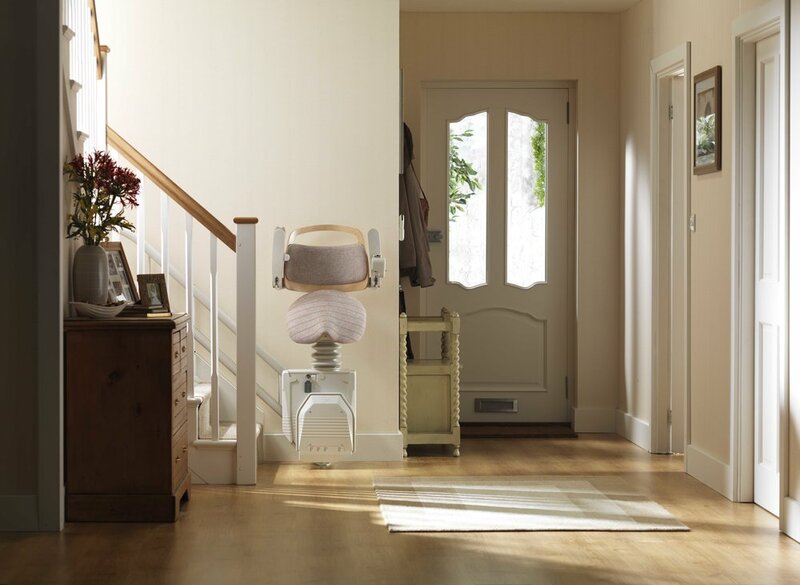 The Stannah Starla 600 is a slimline stairlift for straight stairs. With a choice of chairs and upholstery colours the 600 is a stylish addition to any home. The Siena stairlift combines fresh, contemporary styling with the best in stairlift engineering. The simple contours along with five classic colour options make the Siena a smart and practical addition to any home. The Siena can be fitted to either our straight or curved rails and folds away neatly to make the best use of space. The Stannah 260 is a twin rail stairlift suitable for stairs with bends. With a choice of chairs and upholstery colours and a host of customisable options the 260 is a tried and trusted classic. The Starla curved stairlift is the most customisable stairlift in the Stannah range, it has a host of features that ensure it is not only right for your stairs, but also your home and your life.